With a number of concept unveilings thus far this year, the Nissan Sports Sedan Concept seems to be the one option that’s turned the most heads. A glimpse at the future styling direction of the company, Nissan’s new sedan is looking more like the successor to the next-gen Altima or Maxima, only with a more aggressive and sportier look. The design elements of the car are stunning to say the least from its quilted-custom leather interior to the floating roof. 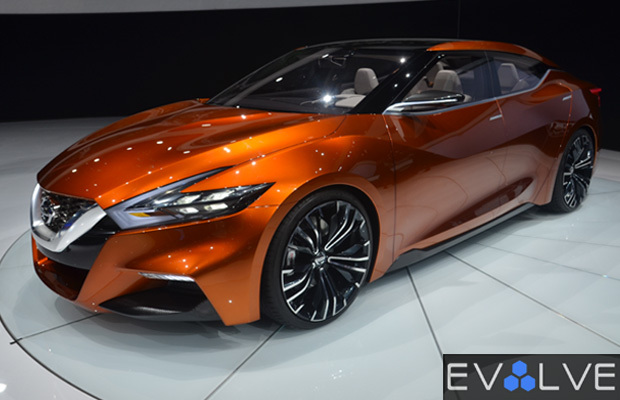 Stepping into the Nissan booth at the 2014 NY Auto Show, EvolveTV got a closer look at the concept, with the automaker breaking down the car’s marveling body frame and detailing. See how the Nissan Sport Sedan Concept will be the future of sport sedans.